The UK was "misled" over Saddam Hussein's access to weapons of mass destruction, and the Iraq War was unjustified, Gordon Brown has said. The former prime minister, who was chancellor when the decision to go to war in 2003 was made, said the US failed to share crucial intelligence that cast serious doubt over the dictator's destructive capabilities. He believes the course of history could have been different had the information been shared. "When I consider the rush to war in March, 2003 - especially in light of what we now know about the absence of weapons of mass destruction - I ask myself over and over whether I could have made more of a difference before that fateful decision was taken," he writes in his latest book My Life, Our Times. "We now know from classified American documents, that in the first days of September 2002 a report prepared by the US Joint Chiefs of Staff's director for intelligence landed on the desk of the US defence secretary, Donald Rumsfeld. "Commissioned by Rumsfeld to identify gaps in the US intelligence picture, it is now clear how forcibly this report challenged the official view. "Given that Iraq had no usable chemical, biological or nuclear weapons that it could deploy and was not about to attack the coalition, then two tests of a just war were not met: war could not be justified as a last resort and invasion cannot now be seen as a proportionate response. 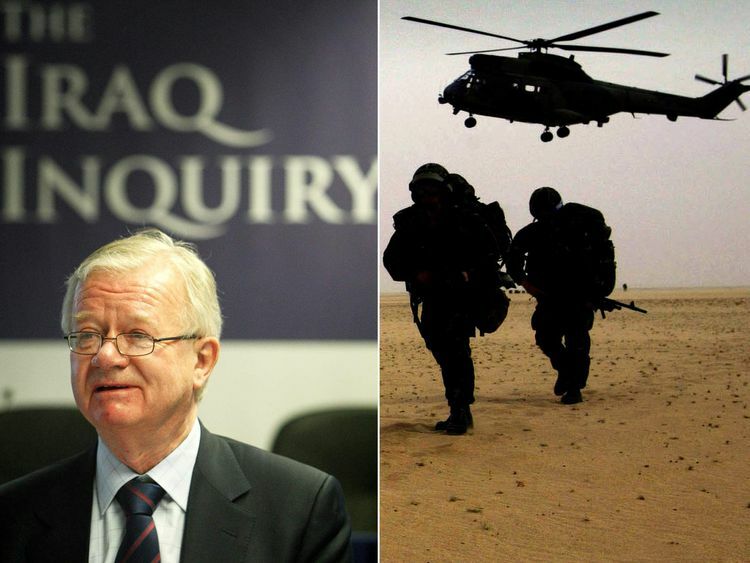 "The UK was part of the US-led coalition which invaded Iraq after US president George W Bush and the then-prime minister Tony Blair accused Saddam of possessing WMDs.After an inquiry lasting seven years, the Chilcot Report found the former Iraqi dictator posed "no imminent threat" at the time of the invasion of his country in 2003, and the war was unleashed on the basis of "flawed" intelligence.Mr Brown claims the report suggested previous assessments relied "heavily on analytic assumptions" rather than hard evidence and even refuted the country's capability to create weapons of mass destruction.He said: "It is astonishing that none of us in the British government ever saw this American report."